Echinacea purpurea is considered the be the most potent of the Echinacea genus with a reputation as “nature’s best immune system enhancer”. Echinacea purpurea or the “Purple Cone Flower” helps to stimulate resistance to infection, disease, fever and inhibits the growth of micro-organisms. 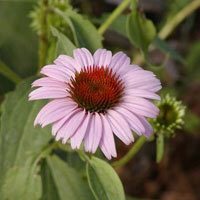 Echinacea purpurea enhances defense responses by bringing the immune system to a state of alarm.